The People’s Democracy (PD) announced that its members would undertake a protest march from Belfast to Derry beginning on 1 January 1969. A woman was shot dead during a gun attack on British soldiers. Four Catholic civilians and one Protestant civilian were shot dead during a Loyalist paramilitary gun attack on the ‘Top of the Hill’ bar in the Waterside area of Derry. 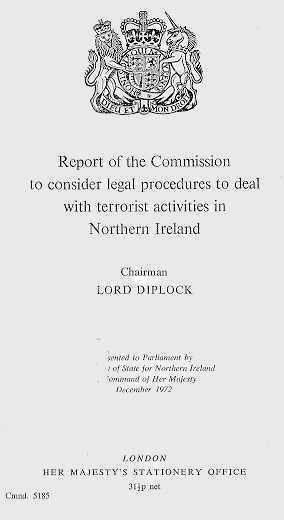 The Report of the Diplock Committee was published. The Committee had been looking at possible changes to the legal procedures used in cases arising out the conflict. The report recommended that such cases should be heard by a Judge of the High Court, or a County Court Judge, sitting alone with no jury. The Irish Republican Army (IRA) announced that a ceasefire would take place between midnight on 22 December 1974 and midnight on 2 January 1975. A bomb left by the IRA on a platform of the railway station in Aldershot, England, was defused by explosives officers. Thomas Easton (22), a member of the Ulster Defence Association (UDA), was beaten to death by members of the Ulster Volunteer Force (UVF) in Forthriver Road, Glencairn, Belfast. This killing was part of feud between the UDA and the UVF. The British Parliament approved the increase in the number of Members of Parliament (MPs) representing Northern Ireland at the House of Commons from 12 to 17. Parliament also decided that the number of members of any future Northern Ireland Assembly would be increased from 78 to 85, which represented five members per constituency. A large number of prisoners, including many coming to the end of life sentences, were release on parole for the Christmas period. John Hume, then leader of the Social Democratic and Labour Party (SDLP), held a meeting with Gerry Adams, then President of Sinn Féin (SF), and decided to meet again when SF had considered its response to the Downing Street Declaration. James Molyneaux, then leader of the Ulster Unionist Party (UUP), gave a radio interview in which he argued that the Downing Street Declaration was not a “sell out” of Unionists. Sinn Féin (SF) and Northern Ireland Office (NIO) officials held a second meeting at Stormont, Belfast. John Hume, then leader of the Social Democratic and Labour Party (SDLP), and Gerry Adams, then President of SF, issued a joint statement calling for inclusive negotiations without delay. A senior Royal Ulster Constabulary (RUC) officer said that the police believed that that the killing of five alleged drugs dealers was carried out by, or on behalf of, the Irish Republican Army (IRA). Due to the recent killings attributed to the IRA the Irish government decided not to give permanent release to 10 Republican prisoners. It was claimed that the Irish security services had prevented attempts by the IRA to carry out raids on cash shipments in the Republic of Ireland. 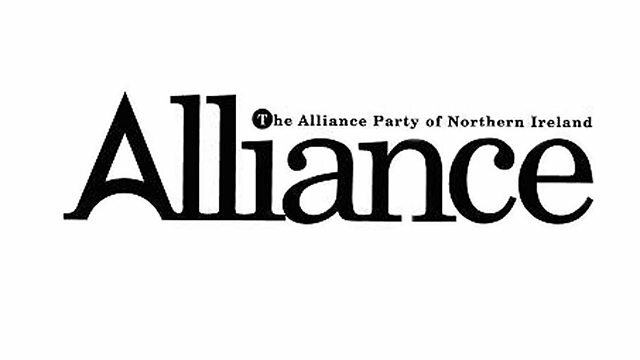 The Alliance Party of Northern Ireland (APNI) held the first meeting with British and Irish ministers under the twin-track approach. 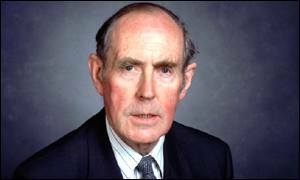 Sinn Féin (SF) announced that it had made proposals to Patrick Mayhew, then Secretary of State for Northern Ireland, for all-party talks to be held in January 1996. Two members of the Irish Republican Army (IRA) shot and injured a Royal Ulster Constabulary (RUC) officer who was protecting Nigel Dodds, then a Democratic Unionist Party (DUP) councillor. The attack took place in the Royal Victoria Hospital for Sick Children in Belfast. The Prime Minister’s Office at Downing Street confirmed that Sinn Féin (SF) MPs would be allowed to have office facilities at Westminster despite the fact that none of the MPs intended to take their seats in the House of Commons. Peter Robinson (DUP), then Minister for Regional Development, announced his intention to introduce free travel on public transport for pensioners. Seamus Tracy and Barry Macdonald, then both barristers, were granted leave by the High Court in Belfast for a judicial review of the requirement to swear an oath to “well and truly serve the Queen” before becoming Queen’s Councils. The two barristers were supported in their action by the Northern Ireland Bar Council. Christmas parole arrangements were announced by the Northern Ireland Prison Service. Over 300 paramilitary and ‘ordinary’ prisoners were to be granted 12 days leave over the Christmas period. Shot by sniper during gun attack on British Army (BA) mobile patrol, Crumlin Road, Belfast. Off duty. Shot at his workplace, building site, Kildoag, Claudy, County Derry. Shot during gun attack on Top of the Hill Bar, Strabane Old Road, Waterside, Derry. Bank clerk. Shot shortly after leaving bank with colleagues, Atlantic Avenue, New Lodge, Belfast. Off duty Royal Ulster Constabulary (RUC) reservist intended target. Off duty. 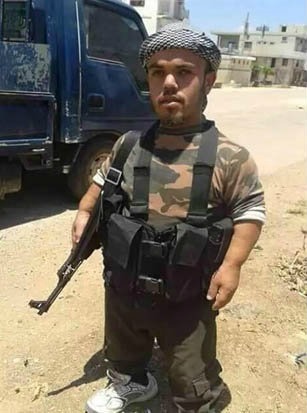 Shot by sniper, while driving his car near to his home, Waringstown, County Down. Shot at his home, Upper Crumlin Road, Belfast.